The Dalai Lama recently attended a ceremony inaugurating the center, located in Ignou. The center will become an important source for maintaining the Tibetan Buddhist culture amongst those in exile in India and Nepal. At a function held recently in the Capital, The Dalai Lama inaugurated the Centre for Tibetan Studies at the Indira Gandhi National Open University (Ignou). He was also conferred the degree of doctor of letters (Honoris Causa) by the university. "There is a traditional treasure in Buddhist studies. The 1,000 year-old Nalanda traditions have faced its ups and downs. Historically, Buddhism spread from India to Tibet and so we share the guru-chela relationship. It is all your treasure, which we have studied, practiced, and followed in our lives. Now is the time to return it to the original source. There are 300 volumes of Buddhist texts translated from India, specifically from Pali and a few from Mandarin. With the establishment of the centre I hope that more institutions like this will open and carry the study of inner science, mind and emotions forward to apprise oneself with the reality," said the Dalai Lama. 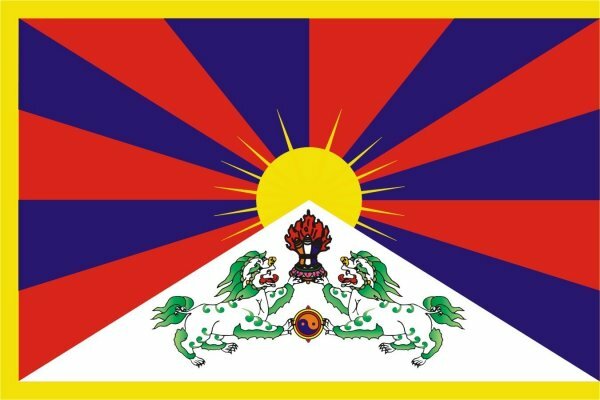 The aim of the centre is to preserve the Tibetan culture in India and Nepal. "The centre aims to contribute to the theoretical knowledge and practical training in Tibetan Buddhist scholarly tradition. It will develop and launch various programmes of study at the graduate and postgraduate levels and provide authentic Tibetan Buddhist teachings to promote dialogues between trans-national scholars , clergy and Tibetan teachers," said Gracious Thomas, director, School of Social Work, Ignou. The centre has launched three programmes - a diploma, BA and MA, respectively, in Buddhism and Tibetan Studies, which will be taught in regional Tibetan Buddhist Centres at Dharamshala, the Central University for Tibetan Studies, Sarnath, and at the Tibetan House, Delhi. Ignou will provide the study material. Ignou and the Central University for Tibetan Studies, Sarnath, will jointly issue the degrees. Talking about the faculty, Thomas said, "It is a bit challenging to find teachers who can understand and teach in Tibetan and English and who are at the same time experts in Buddhist studies. There are 17 Centres for Tibetan Studies, which are already established all over the country and we will take their help. Apart from that, we will also take help of the monasteries. Some of the best scholars teach in the monasteries. We will also have visiting faculty as and when required." Every centre will have 30-50 seats. "If more students come, we will decide later on how to accommodate them accordingly. All classes will be held in the face-to face mode," added Thomas. For students who want to take admission in the diploma and BA in Buddhism and Tibetan Studies, the eligibility criterion is +2. For students taking admission to MA in Buddhism and Tibetan Studies, the minimum eligibility is a graduation degree. "The classes are open to all. If a student has a BA in Buddhism and Tibetan Studies, it will be easier for them to understand the MA course," he concluded.